Jacques Capsouto started showing extended interest in Israeli wine from 2004. He began visiting wineries, walking vineyards and seeking advice from winemakers and wine professionals. 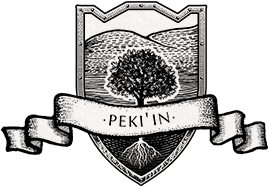 He employed one of Israel’s finest viticulturists Pini Sarig, and found a beautiful site close to Peki’in, a unique place where Jews, Christians, Muslims and Druze peacefully co-exist. Here he personally participated in planting his vineyard in 2011. He firmly believes in Mediterranean varieties as being more suitable for Israel’s climate and believes Southern Rhone style blends are the wines that Israel has the potential to make really well. He therefore planted Rhone varietals Syrah, Mourvedre, Grenache Noir, Cinsault and Counoise as his red grapes. The whites he planted were Grenache Blanc, Roussanne, Marsanne and Clairette. Some of these appeared for the first time in Israel in Capsouto’s vineyard. He purposely avoided the more popular and more common international grape varieties like Cabernet Sauvignon, Merlot, Chardonnay and Sauvignon Blanc. 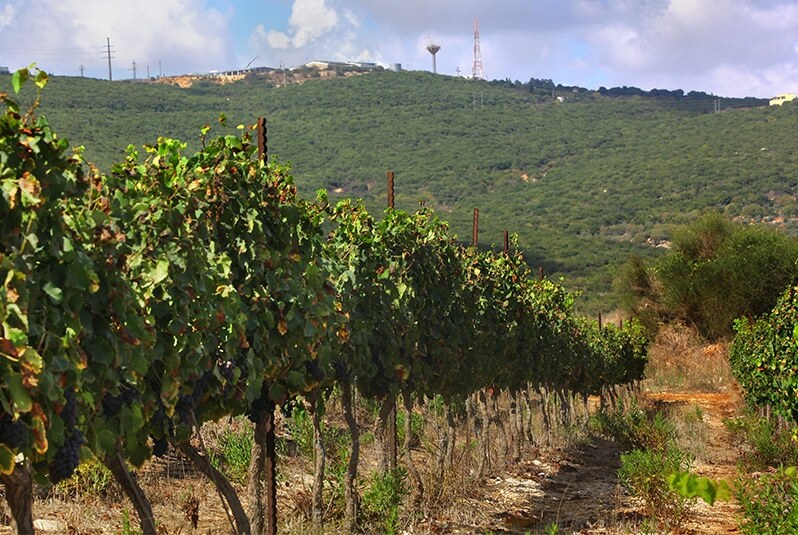 The Capsouto vineyard is one of the pioneering vineyards in the Western Galilee, as most vineyards are concentrated in the Upper Galilee. 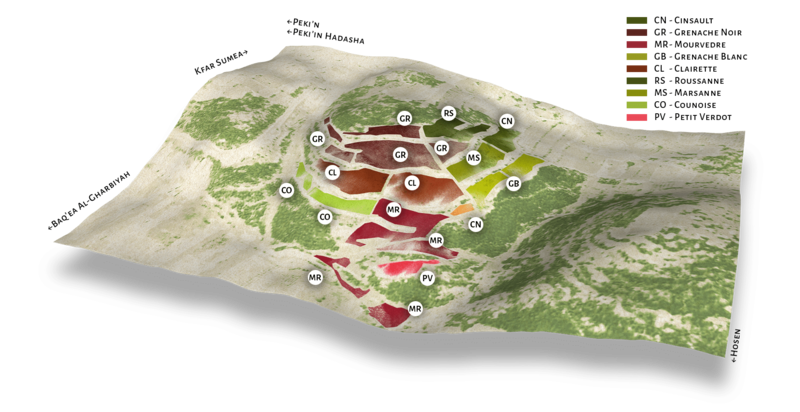 The vineyard itself is in a horseshoe, north facing, 700 meters above sea level, with a 90 meter difference between the highest and lowest part. The soil is very shallow red loam on a bedrock of limestone. Harvesting is done manually.